Milan has come to signify different things. For the religious, it is a place full of pilgrimage sites. For the historian, its many catacombs and ancient structures are priceless. For the more modern-oriented person, Milan is the capital for avant-garde and cutting-edge fashion. With all of these different facets, it is easy to see how Milan is a growing force in Italy. With just over 1.3 million people, and with countless tourists, Milan is often busy and fast-paced. It can be easy to lose track of where to visit. 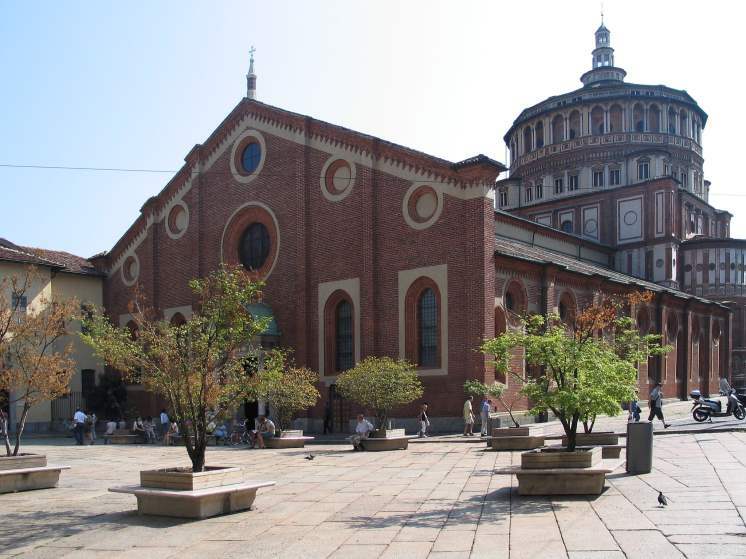 However, these ten places are among the best, and most popular, sites in Milan. 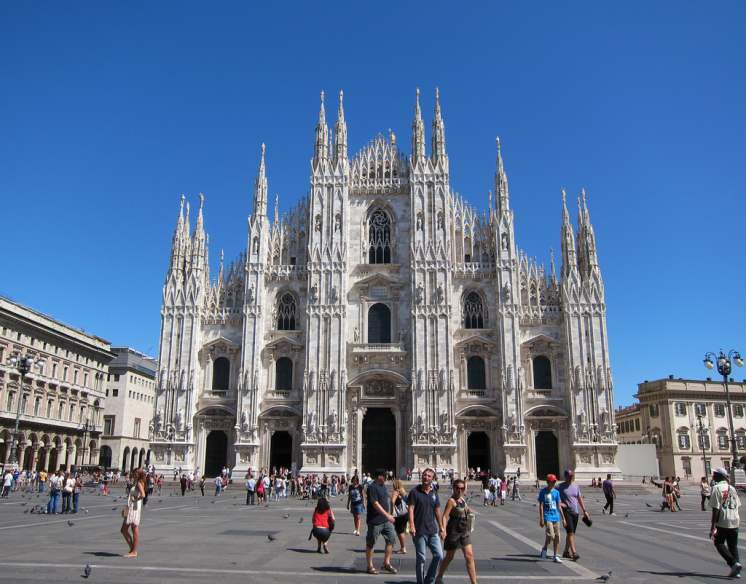 Like many of the cathedrals and churches in Italy, this cathedral serves as both a tourist attraction and a holy site. With crypts containing many relics from Catholic saints, the adventurer can feel a sense of excitement. The cathedral is home to many different works of art, including a very gory statue of St. Bartholomew flayed. The cathedral, itself, is also a work of art. The largest church in Italy is a sprawling gothic structure with many spires jutting off the roof. With its height and access to the roof, the visitor will get to take in the sights of the surrounding city. Don't let looks deceive you – this structure is actually a shopping mall. 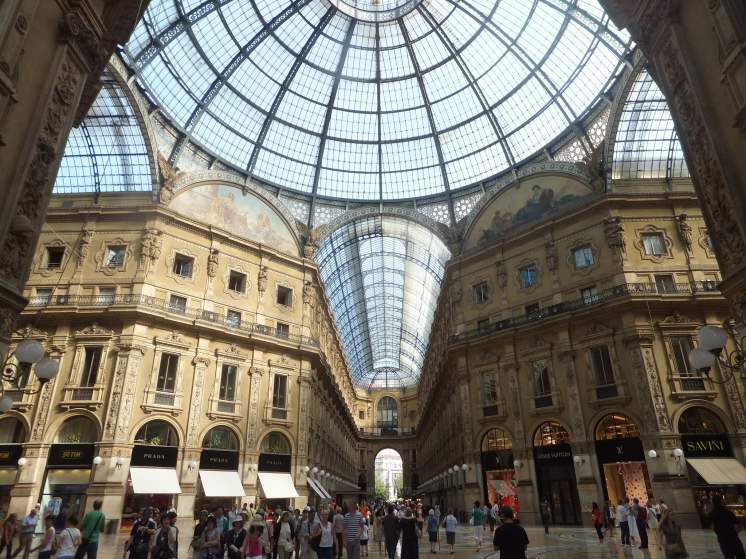 One of the oldest shopping malls in the world, Galleria Vittorio Emanuele II is full of haute-couture, high-end shopping, jewellery and artwork for sale. However, don't let that deter you from visiting. Its tall glass and bronze roof is breath-taking, and is best enjoyed at one of the cafes located inside of it. 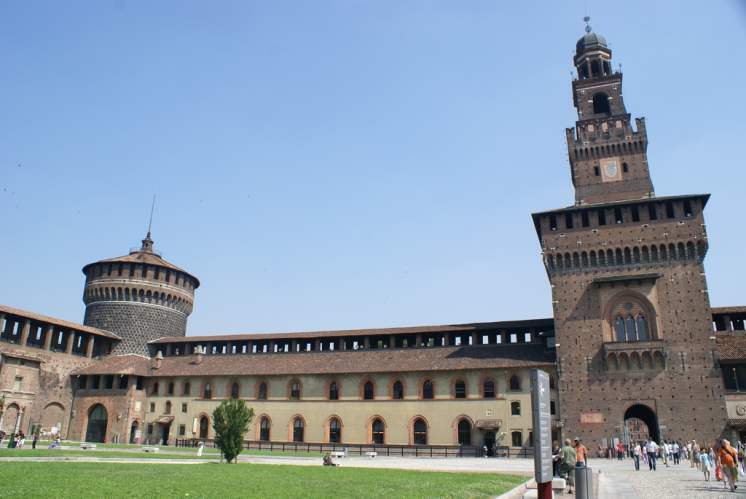 Milan has plenty of immense buildings, and Sforza castle definitely makes that list. The castle, which was once home to royalty, is one of the largest castles in Europe. Now open to the public, it has many different museums, including an Egyptian museum, an archaeological museum, a museum of ancient art, and multiple different painting galleries. For those who want to visit a piece of history, make sure to stop by the grave of Bona of Savoy, whose burial plot is on the grounds. Although the building is open all year round, Teatro alla Scala's operatic season opens on December 7th. This joyous occasion is St. Ambrose's day, who is the Patron saint of Milan. This opening day must bring the site luck, as it has hosted some of the most famous opera singers and actors in the world. With just over 3,000 seats, the traveller may choose to tour the facility, or take in one of the many shows it provides. 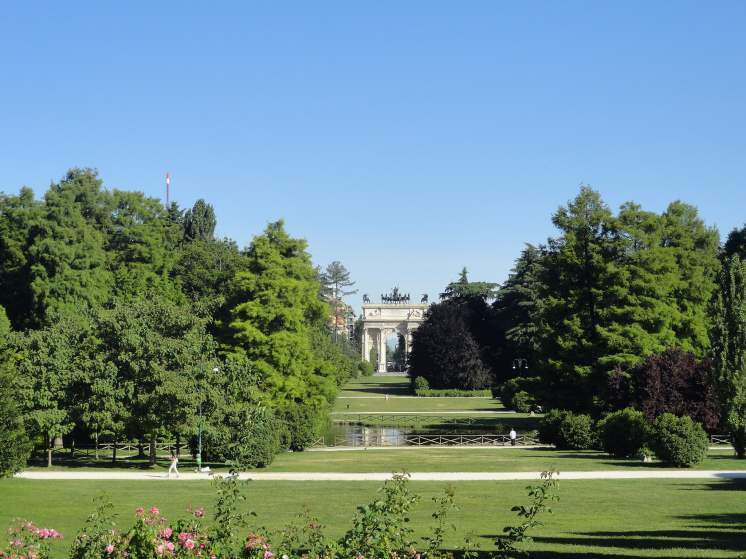 A vast, green stretch of park makes up Parco Sempione – almost 95 acres long. Many sculptures by a variety of famous artists can be seen here. Other notable features that can be seen here are the Arch of Peace, the public aquarium, and the Torra Branca. Located in the centre of the city, it is hard to miss this destination. While it may seem redundant to stop at more than one church, you should definitely make an effort to stop here. This church, as well as being very old, is a UNESCO world heritage site. This is due to the fact that it houses Leonardo Da Vinci's famous Last Supper painting. This painting was almost destroyed with the majority of the church during World War Two. Restoration efforts have kept it looking beautiful, and some parts remained untouched by the ravages of war. 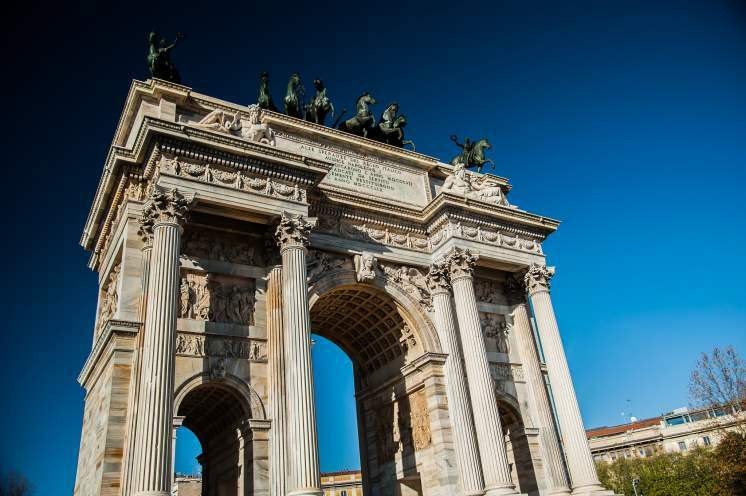 While the Arch of Peace won't take up your entire day, it is one of the most important sites for a tourist to visit in Milan. Not only does it act as the city gate, but it marks a historical spot. While the wall has only been here since the 19th century, it was built around old Roman-era walls. Seemingly, this arch has always acted as the entrance to the city. For more than just a quick stop, make sure to take in one of the many tours of the area that are offered. The Royal Palace was, as it said, a host to the local royalty. Until 1920, it was a private residence. However, it is now open to the public. The royal palace was, unfortunately, one of the places that was bombed during World War Two, so not all rooms are original. However, in addition to touring the restored and original rooms, tourists often flock toward the museums. The Royal Palace houses the Contemporary Art Museum and the Duomo Cathedral Museum, making it a notable spot to learn a bit about Milan's intricate history. This church is notable for many different reasons, and all of those are what draw tourists in to the Basilica. Architecture is definitely one of the draws. While the church itself is not as old, there is an Oesophagus dating back to 385 A.D. that the church was built around. Don't let that make you think that the structure is new, however. The church itself has many medieval features, and there are accents in the décor that date back to the 6th century. To top off your visit, make sure to pay your respects to the body of St. Ambrose, who is still on display. 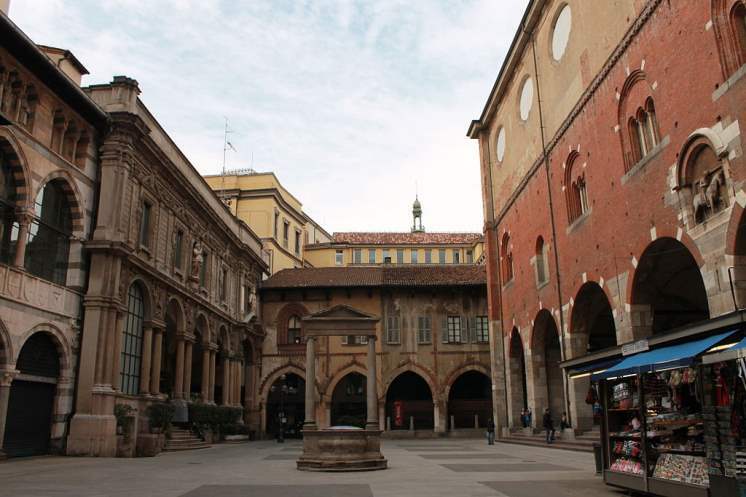 While the Piazza Mercanti is not necessarily going to be the most busy or in-depth on your journey through Milan, it is important to the traveller's understanding of the city. 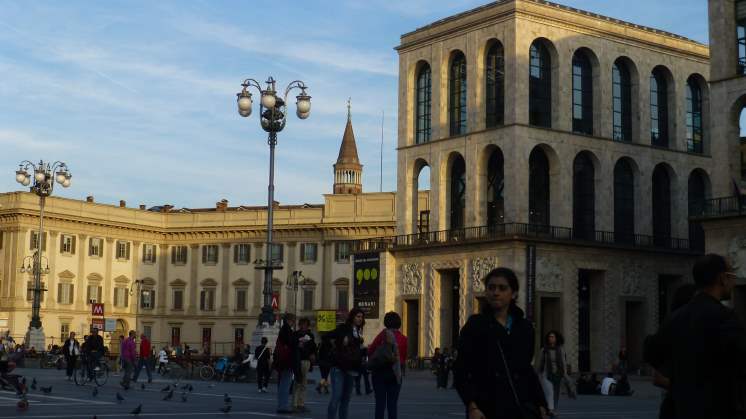 This square is where old Milan and contemporary Milan divides. 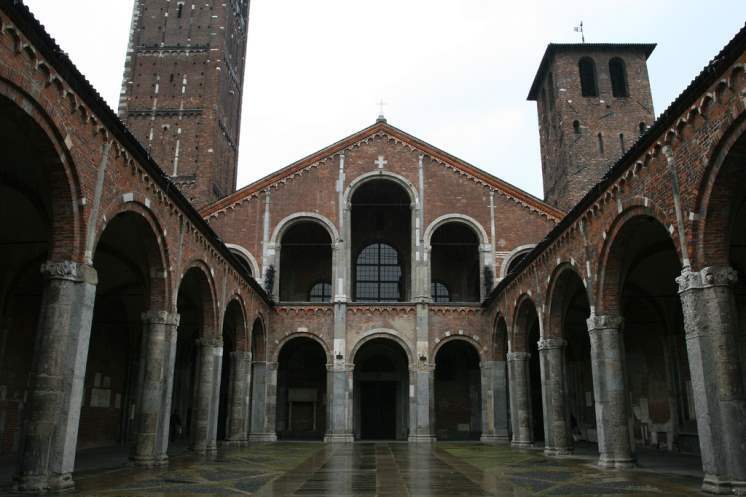 This used to be the city centre for old Milan, and many of its medieval structures can still be seen today. This stark divide between what is and what used to be is symbolic of Milan itself, and quintessential to the world's understanding of Milanese Culture.